The 2015 Honda CR-V, the brand’s most beloved SUV, offers versatility and performance, without compromising style and efficiency. With space for the entire family, this SUV is a surefire choice for all those who have extra baggage. With 60/40 split rear seats, folding in multiple configurations, you’ll never have to worry about having enough room ever again. 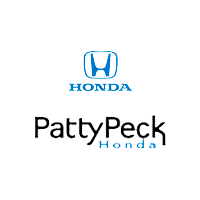 Come on down to Patty Peck Honda, our Honda dealer serving Jackson MS area to see all that the CR-V has to offer. The 2015 model has upgraded its engine for an increase in both torque and fuel efficiency. With the unique Honda Earth Dreams Technology™ DOHC i-VTEC® system, the 4-cylinder engine provides maximum power and peak torque that can be reached at lower power rpms. Achieving 185 horsepower and 181 lb.-ft. of torque, this SUV manages to reach 27 miles per gallon in the city, 34 on the highway and 29 combined. Jackson area Honda CR-V fans can enjoy the state-of-the-art safety features while behind the wheel of their SUV. Providing peace of mind and safety to all, not only the drivers and occupants, the brand has filled their vehicles with safety features meant to protect and prevent accidents. The rearview camera, collision mitigation braking system, lane departure warning, and dual-stage, multiple-threshold front airbags are only a few of the systems Honda has enhanced for your safety. As we’ve said before, this vehicle is versatile; Honda has made great use of every inch of space. The redesigned center console efficiently organizes everything you need while two USB interfaces allow you to plug in your smartphone to the vehicle’s system. The Honda Satellite-Linked Navigation System™ with Voice Recognition is capable of recognizing numbers, street names, and cities. In a similar way to a smartphone, you can simply tap, pinch, or swipe the touch-screen display. The brand has also included a useful digital traffic feature that helps all Jackson area Honda fans avoid bumper to bumper traffic while en route. 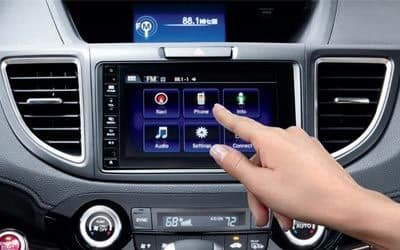 The HondaLink™ can help all drivers and passengers access news, social media, personalized restaurant searches, Internet radio, audio books, and so much more through a connection to your smartphone. You can personalize all of your favorite apps and connections with this system. The Assist feature lets the driver request emergency services in the event of a collision that results in airbag deployment. If you like what you see, visit us at Patty Peck Honda, our Honda dealer serving Jackson MS. For a free test drive, contact us at (601) 957-3400.